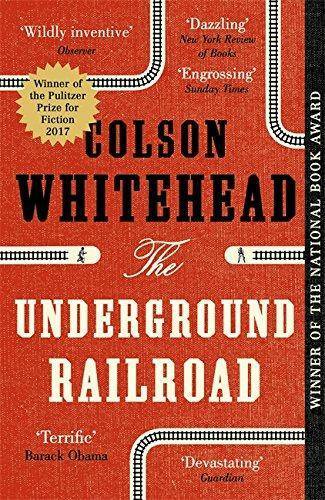 Livre: The Underground Railroad, Whitehead, Colson, Hachette Uk, 9780708898406 - Librairie internationale V.O. Cora is a slave on a cotton plantation in Georgia, an existence made even more hellish by her status as an outcast among her fellow Africans. And she is approaching womanhood, where greater pain an danger awaits. So when Caesar, a slave recently arrived from Virginia, tells her about the Underground Railroad, Cora takes the momentous decision to accompany him on his escape to the North. In this razor-sharp novel, the Underground Railroad has assumed a physical form: a dilapidated box-car pulled by a steam locomotive, picking up fugitives wherever it can. Thus begins Cora's perilous journey, as she pursued by a ruthless slave-catcher named Ridgeway, obsessed both with Cora and her mother, who eluded him years before.